Back in January of this year, I shared with you some negatives that I found in my befuddling collection of prints, slides, and negatives. Not only did I ask the question, what kind of negatives are these, but I also asked if anyone knew where these photos – admittedly some 50 years old – were taken! Their story was told in this blog entry. Surprisingly, with all the photographers who visit this site, no one has suggested negative size / format. I guess digital has swept most of that body of knowledge into the history books. 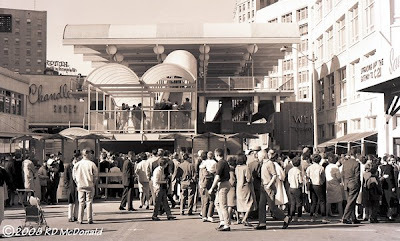 "I don't know why I didn't recognize this station when I first saw it especially since my daughter just lived up the street from here and I have walked and shopped in it - North Toronto station Yonge Street which is now and for some time a liquor store. See RL Kennedy's web page." Thank you, Ross M., for your informative input and solution to the mystery photos! Not only did you identify the location, but also now I am able to piece together where I got the negatives, some 50 years ago. With this information, I was able to determine that my rail fan buddy, Mike, who took the Canadian National Consolidation photos in the previous entry, shot those photos in Toronto in 1956! 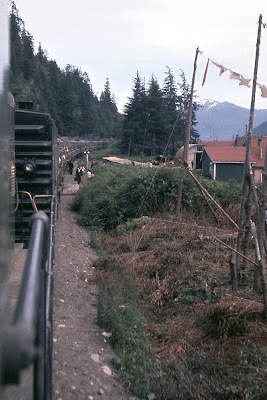 Canadian National Railways 2514, Smithers Division, Skeena Subdivision, Port Edward, June 1957. My buddy Mike took these photos of Consolidations in action in mid 1957. 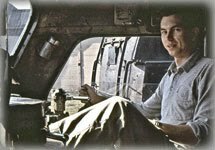 We did not arrive in Prince Rupert until September 1957, and I had not yet experienced my epiphany and subsequent transformation into a ferroequinologist. Be that as it may, these three photographs are probably the last pictures taken of these magnificent machines in Prince Rupert, as diesel power was creeping ominously into the lineup. Diesel replaced all freight first, then yard and finally - varnish. These engines represent 2 of the 48 sub-classes of Canadian National Railways 2-8-0 Consolidations that ran as “heavy freight” engines – more classes if you count the permutations of many of each sub-class. 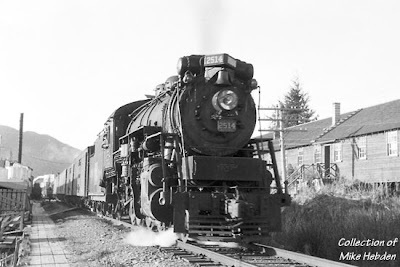 As an example, CNR 2514, show here working eastbound through Port Edward Cannery with passenger train 196, was in road class N-2-b. “Heavy Freight” was the description of this wheel arrangement first introduced in 1866. Who knew that “Big Boy” would become the standard by which “Heavy Freight” would be judged! The “Consolidation” type locomotive – 2-8-0 – went through an interesting permutation known as a “camel back” locomotive. I am curious as to how the engineer and fireman communicated, as the only blueberries in those days were of the edible type! By the time the last 2-8-0s were delivered in the 1940s, more than 33,000 had been delivered - more than any other type of steam locomotive built, indisputable testimony as to the versatility and reliability of the design. The locomotives pictured here were originally built as coal burners. Four of the N-2-b’s had a “Brakeman’s Cabin” facing aft on the tender, which was removed during the conversion to oil burning. Near Red Pass Junction, the Canadian National Railways main line turned south heading for Vancouver. 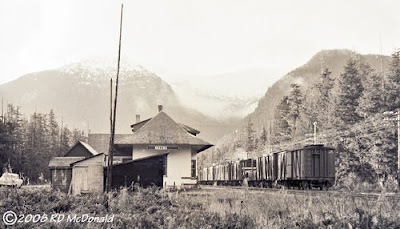 The rail laid out westbound in the early 1900’s from Red Pass Junction some 676.8 miles to tidewater at Prince Rupert, was later classified as branch line due to weight of rail. Indeed, as late as the 1960’s passenger train speed top limits were only 40 miles per hour. 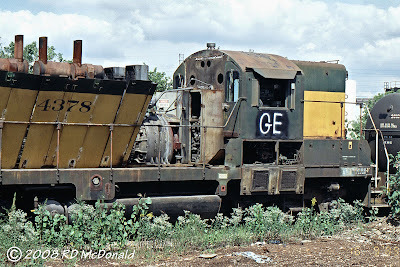 With the arrival of the diesels, the Geep Seven’s and Geep Nine’s were all fitted out with small capacity fuel tanks and lightweight Flexicoil trucks. 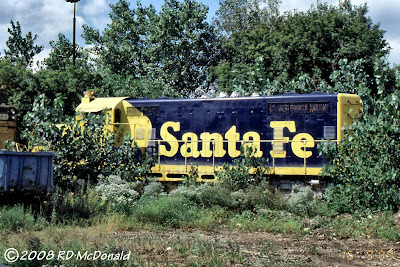 I do recall seeing CNR 4304, a 2-10-2 Santa Fe in town once. There was a chuckle around the engine facility that she was sent out west to straighten some restrictive curvatures! 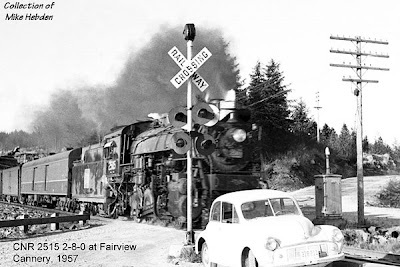 Here is another of the very rare photos, taken by my rail fan buddy Mike, of the CNR 2515 working east bound on the Skeena Subdivision through Fairview Cannery, just south of Prince Rupert, in the twilight year 1957. That’s Mike’s motor vehicle. Can you identify it? 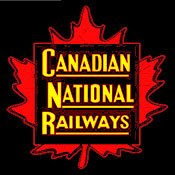 Railroad Stuff: Canadian National Railways 2513 / 2514, 2-8-0 Consolidation, road class N-2-b. 50 in this class built by Montreal Locomotive Works, 1918. 63” drivers. Canadian National Railways 2515, 2-8-0 Consolidation, road class N-4-b. 52 in this class built by Montreal Locomotive Works in 1906. 63” drivers. Pielet Brothers Scrap Iron & Metal Company, McCook, Illinois, September 16, 1989. We’ve all heard stories about places where elephants went to die. Pielet Brothers scrap yard in McCook, Illinois was a place where locomotives went to die. 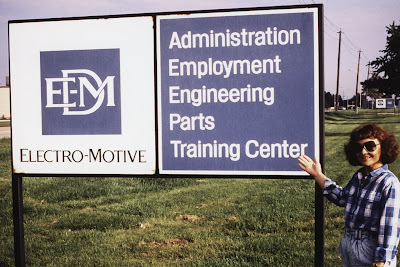 My late wife Patti and I had been invited by the Chief of Security to come to Electro Motive Division (EMD) at McCook enjoy the 50th Anniversary celebration of the “Diesel That Did It!” – FT 109. We were very excited as we flew out of Portland to Chicago. Indeed, those were the days in which air travel was actually “fun!” For the both of us, this would mark the first time we had gotten beyond the airport terminal transiting through Chicago! We stayed in McCook, so it was an easy task to secure a rental car, and make our way to 55th Street, home of EMD. As we approached the plant, I noticed these derelicts rusting away in the brush just off the road. At the time, I had no idea where I was at, but what a sad sight to see these magnificent machines suffering a painful and worse – a public death, just blocks from a factory full of the excitement that surrounds the birth of a locomotive! Organized in the 1940’s, Pielet Brothers was the exclusive scrapper used by the General Motors Electro-Motive Division when they started their locomotive trade-in program in 1954. 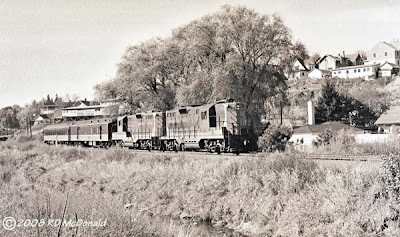 Pielet Brothers owned a group of associated companies, the most famous of which for locomotive fans was the salvage yard located at Joliet Road and 55th Street in McCook, Illinois, adjacent to EMD's LaGrange plant. It was said that at the McCook yard, two men were capable scrapping a single locomotive in a single day. This location was the final resting place for thousands of locomotives traded to Electro Motive Division. Over the years several ownership changes and environmental concerns resulted in the last “company” operating in this location, known as B&B Scrap, was closed and abandoned in February 2000. 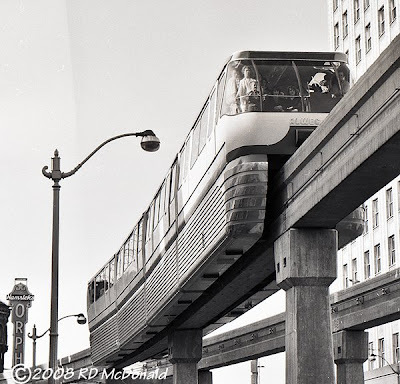 Seattle Monorail, April 10, 1962. 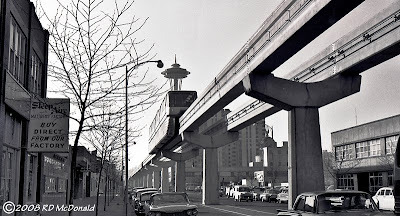 So I am home on a 15-day leave enroute to Hamilton Air Force Base, and Seattle is a buzz with the 1962 World’s Fair. Just a few days to squeeze in some railroad photography and attend the World’s Fair. 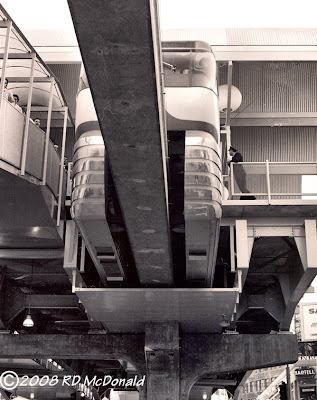 My sister and I head out to see the World’s Fair, and of course the only “proper” way to get there is the 1 mile ride from downtown to the Fair grounds via the monorail – transport of the future! 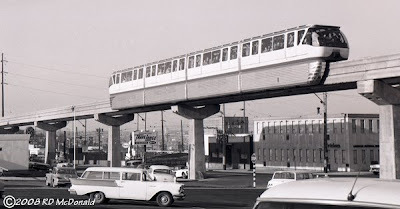 The photo at the top of the page shows the Monorail running down 5th Avenue toward the downtown station, with the Space Needle in the background. Also, the “It’s in the PI” sign is barely visible between the first and second pylons. Later, the newspaper moved down to Elliott Avenue. Alweg of Germany built the structure and was up and running in less than a year. 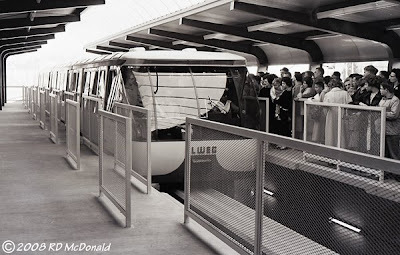 The lines were long for such a short ride, but it was imperative to be “part of the future.” Alweg have provided a very interesting history of the line on their web site – I encourage you to check it out. The other highlight of our two or three days up at the Fair was being included in a scene from the Elvis Presley flick “It Happened at the World’s Fair.” Note the “typo” Hallweg instead of Alweg. We are in the grand finale – where the guy (Elvis) wins the gal (Joan O’Brien.) and they go singing into their romantic future! Union Pacific 180B, Argo Yard, Seattle, February 9, 1961. The most notable thing about Union Pacific’s Argo Yard was its accessibility. You could virtually park your vehicle next to a unit, if it was on the closest in track. The southern most outlet from Argo Yard was adjacent to the Airport Way Overpass. This made for some really interesting audio tracks, especially in the evening, when there was little traffic on the Overpass. And back in those days, when rush hour was over, it was over! Things got really quiet down at that end of town. Anyway, as to the audio recordings made at Argo. Southbound power could wind up a tad bit for their run down past Milwaukee Roads Van Asselt Yard to the tower at Black River Junction. So EMD’s slipping up from run one through run five or so gave a nice sound track. But, if Elwin and I were really lucky, we would also snag a southbound Pacific Intermountain Express double-bottom tanker climbing up and over the Airport Way Overpass from their nearby yard. Loved the sound of those PIE Kenworths (built a few miles from this location!) running a gear pattern to gain speed climbing and crossing the Overpass. The road switcher “B” unit craze lasted only a short time, with Union Pacific adding 75 units, numbers 130B through 204B in 1954, and an additional 50 GP-9B’s, 300B through 349B in 1957. 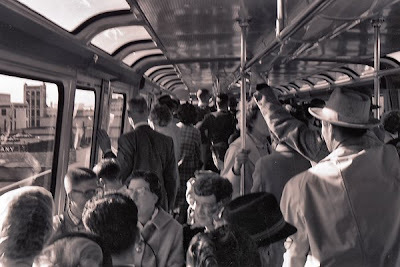 Arguments for producing a unit without a cab ranged from “no crew required” to cost savings realized by eliminating cab control stands, seating, and toilets. Although I cannot locate alleged “cost savings figures,” methinks the manning issue was uppermost on managements mind. Remember, in this time frame, crew size was an issue, with manpower downsizing the goal. By 1959, Union Pacific began a limited program of converting GP-9B’s to GP-9Bm’s, kicking horsepower rating up from 1,750 to 2,000 hp through the addition of a turbocharger. From a purely practical point of view, cabless units could not pilot a train, requiring a control unit to be of any practical use. Or was that always the case? Railroad Stuff: Union Pacific 180B, built by EMD as a GP-9B, 1,750 hp. Erected March 1954, serial number 19256. 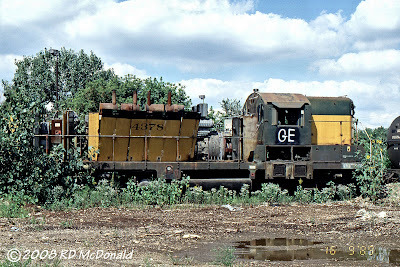 To Illinois Gulf Central as remanufactured GP-11, number 8462. 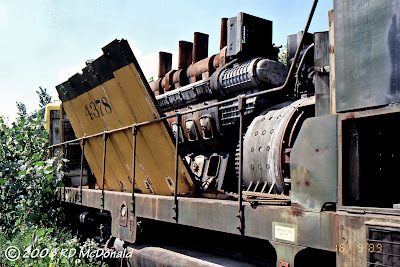 Milwaukee Road GE Motors - The "World's Mightiest!" Milwaukee Road E32B, South Tacoma, May 29, 1960. The "World's Mightiest!" used to describe the magnificant overbuilt General Electric electric locomotives. Embraced by the Chicago, Milwaukee, St. Paul & Pacific to operate in the mountains of Washington, Idaho and Montana, these growling monsters survived more than 50 years service. In the 1950’s Laurence Wylie, Milwaukee’s Chief Electrical Engineer determined that with a modest set of upgrades, the aging EF-1 warriors could be configured to compete with Electro Motive Division. Upgrading EF-1 to Class EF-5 was completed at the Tacoma Shops between 1951 and 1961. Reclassified units were released as A-C-D-B (controls in A and B) except E22 and E32, which were numbered D-A-C-B. - Wrapping the traction motor armatures with high strength steel wire, to keep them from flying apart through centrifugal force. - Installation of a new breed of fast reaction circuit breakers to prevent costly damage from flash over. - Upgrading of traction motor shunts to permit an improvement in top speed. Wrapping the job up with a fresh coat of orange and maroon paint; class EF-5. The results were measurable. Top speed for the GE’s was increased to 45 miles per hour. 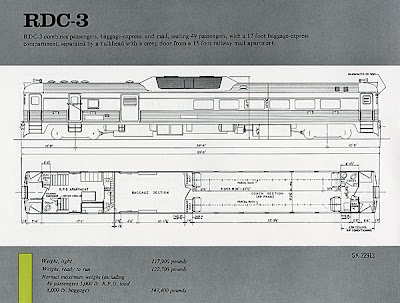 Tests revealed that on a 1.7% grade, a four locomotive set, weighting in at more than a million pounds, could out perform six F-7’s or five GP-9’s. Horsepower was estimated at 6,680 continuous, and an impressive 8,200 short time rating, providing the muscle to move out on a grade. But even as short-term battles were engaged and won, the war was slowly being lost. In the mid to late 60’s, monies were not made available to keep the electric trains running, and an insidious disease slowly spread throughout the fleet. Units were scavenged to keep healthier brothers and sisters alive, and by 1972, the last electric train operated over the Coast Division. I am privileged to have witnessed (and ridden) these magnificent machines in their glory years, a few of which ran in continuous service for 58 years! Railroad Stuff: Chicago, Milwaukee, St. Paul & Pacific E32B. Built as EF-1, 10100A, January 18, 1916. Renumbered 10230A in June 1919. Renumbered 10509B in February 1936, and E32B in March 1939. Rebuilt as EF-5. Great Northern Railroad, Interbay Yard, Seattle, 1960. 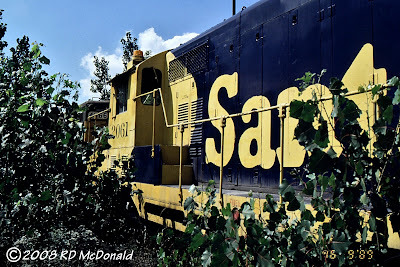 Although I didn’t realize it until years later, I was a lucky young man to have spent considerable time photographing locomotives in rail yards around Seattle that would soon loose their charm and identity through merger and abandonment. For me, each yard had it’s own personality. The one thing in common to the four major venues was the friendly personnel, almost unfettered access, and diversity of motive power. And you could always count on finding interesting maintence of way equipment and “stuff” stashed in the out of the way corners of the engine facilities and adjacent tracks. 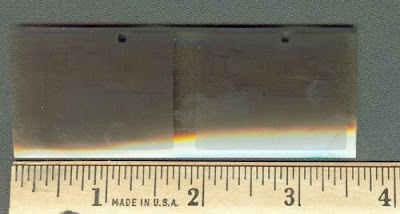 In order to render this blog a little more interesting, I try to incorporate gems of information to accomplish that end. For example, when I wrote about Northern Pacific’s “Stacy Street” Yard, I uncovered it’s namesake, an interesting character by the name of Martin Van Buren Stacy, who built not one, but two mansions in early Seattle, one of which became an “upscale” eatery. Two more yards needed attention, one of which is kind of obvious – Great Northern’s “Interbay” Yard. 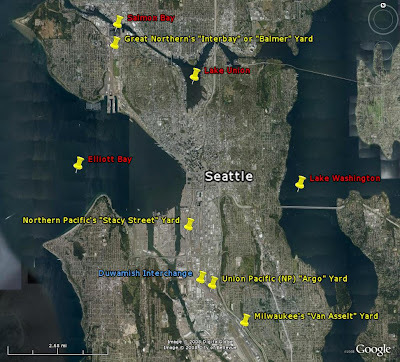 I say “kind of obvious” because it is located between Elliott Bay – Seattle’s harbor, and Salmon Bay, homeport for many of the “Deadliest Catch” crabbers, on the Lake Washington Ship Canal. Apparently the yard I knew as “Interbay” is also known as “Balmer” Yard. We certainly never referred to it by that name as a young train chaser in Seattle in the late ‘50’s and early ‘60’s. But it apparently is known to a different generation as “Balmer” Yard, named in recognition of Mr. Thomas Balmer, a former Great Northern Railway Company attorney. 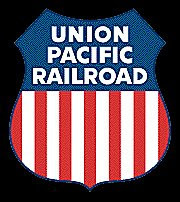 The origin for the name of Union Pacific’s “Argo” Yard eluded me. I was looking for a mover and shaker, someone with a colorful history. After some time, I gave up, and contacted the Museum of History and Industry in Seattle for assistance in identifying the origin for the naming of Argo Yard, something with a little zip or spice! The answer was deceivingly simple! Argo was the name of a junction on the Northern Pacific Railway lines south of Seattle in the community of Georgetown in King County. The place was named for the Greek legend about the Argonauts who sailed on the ship Argo to seek the famed Golden Fleece. It is now part of Seattle. The linkage to Northern Pacific is because, in reality, Union Pacific never laid steel north of Portland to Seattle. Rather than essentially building a parallel track between the two cities, it was quicker, and a lot cheaper, to negotiate track rights with the already in place Northern Pacific Railroad. Sometimes things are just what they are – no mystery, no intrigue, no bs! Smithers Division, Skeena Subdivision, 1957 – 1959. The 100-152 Floor Plan. The basic building measured 51’x16’ deep, with a single story extension 14’x12’ enclosing the kitchen area behind the station masters bedroom. A narrow stairway from the kitchen area lead up to two dank windowless 15x15’ bedrooms above the main frontal part of the structure. This was the station of choice for the Grand Trunk, constructing more than 200 of them, at an average cost of around $2400 a copy. Whenever possible, stations were constructed on the north side of the line, so the 100-152 floor plan could take advantage of the sun to warm the waiting room, at the east end of the station. Some folk refer to this floor plan as the “Type E” station. In fact, there never was any such thing as a “Type E” station. 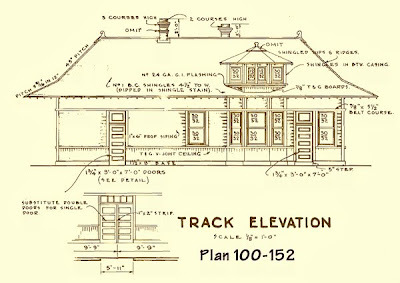 The Grand Trunk Railroad was very pragmatic, and assigned blue print numbers to the types of stations they deemed necessary to service a given location. So where did the “Type E” nomenclature come from? It took me a while, but I finally got to the bottom of it. 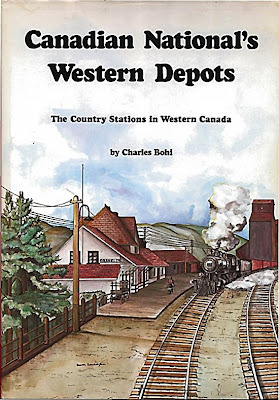 A fellow by the name of Charles Bohi wrote a detailed study of “Canadian National’s Western Depots” published in 1977. It is in this volume that the designation of “Type E” station first appears. 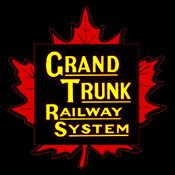 Not unlike the so-called “phases” of General Motor’s locomotives, created by locomotive fans; never acknowledged by GMD, his type designation is self-imposed, to simplify identifying the variations of stations constructed by the Grand Trunk, later known as Canadian National Railway. But “Type E” was never used nor acknowledged by the railroad. Simply stated, the so-called “Type E” station is correctly identified by its plan number: 100-152. His highly detailed volume was later updated in “Canadian National’s Western Stations” published in 2002, including never before published information. And the Tables of Stations are organized in a much better format. 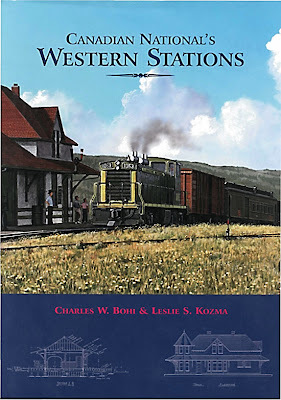 I’d highly recommend you get both these books, readily available on the internet, if you are a serious student of this genre of Canadian National’s railroad stations, and because you need both volumes to get all the floor plans. “Skeena” Mile Post 86.6, built by Grand Trunk as a 100-152 plan in 1912 for approximately $2400, has twin poles supporting a radio antenna. In 1937, exterior stucco and insulation were applied to the station to help block the winter chill. All of the stations on the Skeena Sub of the Smithers Division were adjacent to the Skeena River, cutting through the Coast Range Mountains. Mighty cold winds in the winter! Grand Trunk originally built “Salvus” station as a 100-152 floor plan in 1912. Destroyed by fire in 1928, it was rebuilt as a 100-256 variant station, at a cost of $5,200 in service by 1930. Looking carefully, one can spot the ubiquitous radio antenna typically strung between two skinny poles or a pole and a tree. Not for railroad communication, but to bring in distant news and music from distant civilization via the Kennelly-Heaviside layer nighttime skip signal! There were a few “miscellaneous” trackside structures not listed as formal stations. For example, Remo, Mile Post 31.9, was a so-call “portable” structure that could be loaded on a flat car for easy transport. But even it was fitted with a “caboose” coal fired stove! Remo was one of several mail exchange points between east and westbound varnish, and if you look carefully, has a simple flag signal. 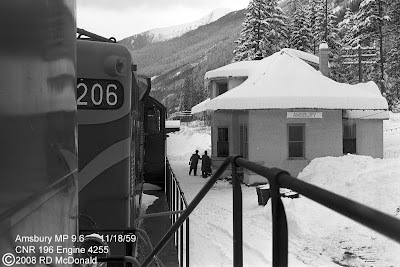 I believe there was a logging camp nearby, but honestly, as a star-stuck teenager, awed by simply riding in the cab of a thundering locomotive, stations were the last things I paid attention to! Another named feature on the Employee Timetable was “Telegraph Point.” Massive landslides ravaged this area over time, and so the only commitment at this landmark at Mile Post 78.5 was a rudimentary hand crank phone in a small wooden booth. A haven for some of the biggest spiders I’d ever seen! Sunnyside Cannery had a simple pad constructed of railroad ties for their "platform." Passenger/Freight trackside platforms were located Caspaco Cannery milepost 104.4; Sunnyside Cannery 105.9; North Pacific Cannery at mileage 106.7; and Inverness Cannery mile 108.2. These were all flag stops with a short pole mounted hand operated flag paddle, to enable cannery personnel to go to either Terrace or Prince Rupert for personal visits and shopping. The only other transport available to them was by fishing boats or packers. Port Edward cannery mile 110.8 had a platform, but also access to Trans Canada 16, as did the Pulp Mill at Watson Island. 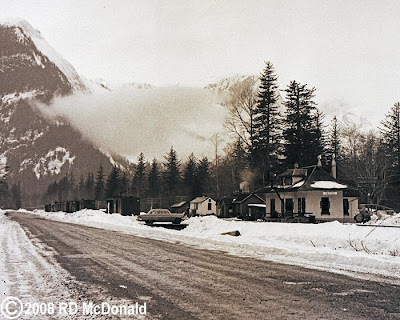 With the explosive growth of coal export out of Tumbler Ridge in the late ‘60’s, the Prince Rupert line from Prince George underwent a massive upgrade – heavier steel and winking light Centralized Train Control! Mercifully, the North Pacific Cannery was saved and transformed into a living museum. Today, busloads of tourists from the Inside Passage cruise ships, can visit a world-class exhibit celebrating the glorious days of the Skeena River Salmon Fishery. 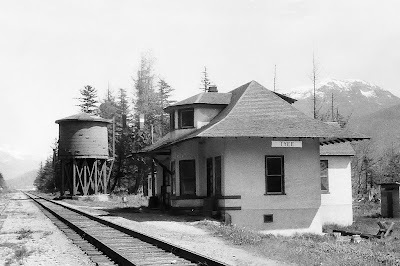 Kwinitsa Station – Plan 100-152 - was trucked over Highway 16, across the brush and beach onto a barge, and floated down the Skeena River, up Prince Rupert harbor, and landed near the railroad station, where it has become an important interpretative center for not only the railroad, but also Prince Rupert. The remaining stations were torched in the 1960’s– a Viking’s end for magnificent structures.